Are you coming to Flickerfest Hopetoun? 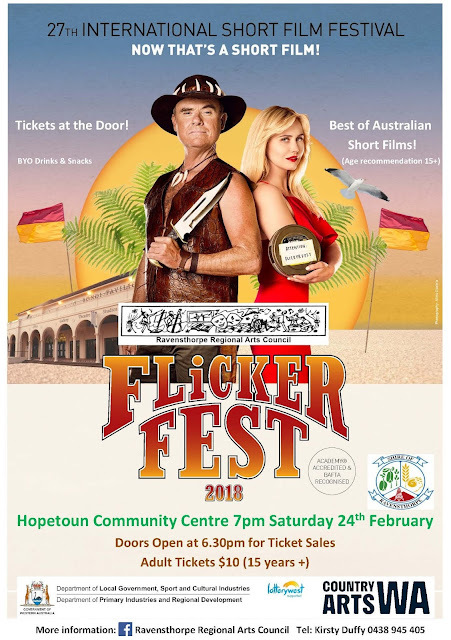 This Saturday night the smell of popcorn and potato chips will fill the Hopetoun Community Centre. 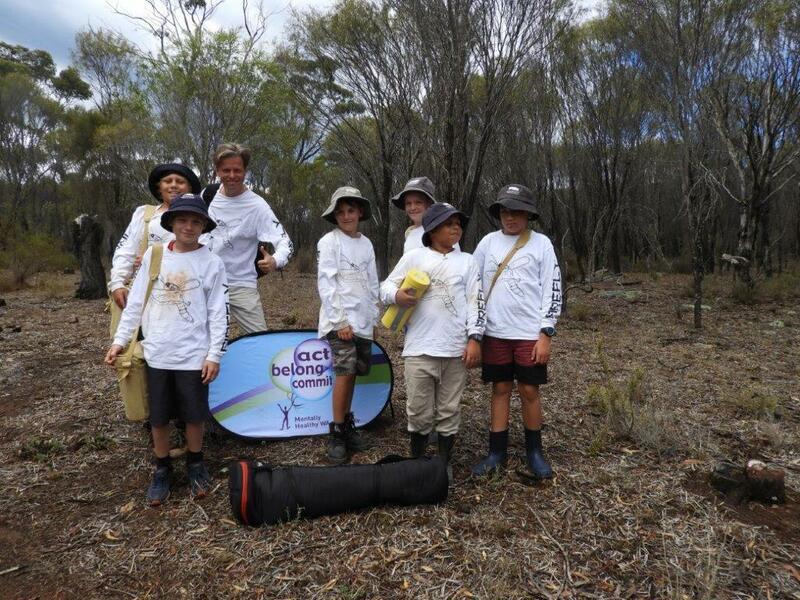 So get with the programme and join in the fun! Doors open at 6.30pm for ticket sales ($10 per adult) and the "Best of Australian Short Films" will screen at 7pm. Gustav Hellberg, what have you been up to? 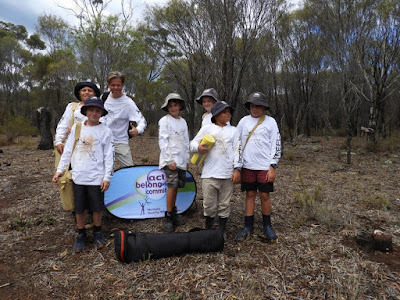 A Sweed in the hand is worth two in the Bush. The Spaced 3 : north by southeast project has been percolating for almost 3 years, and what a journey it has been. 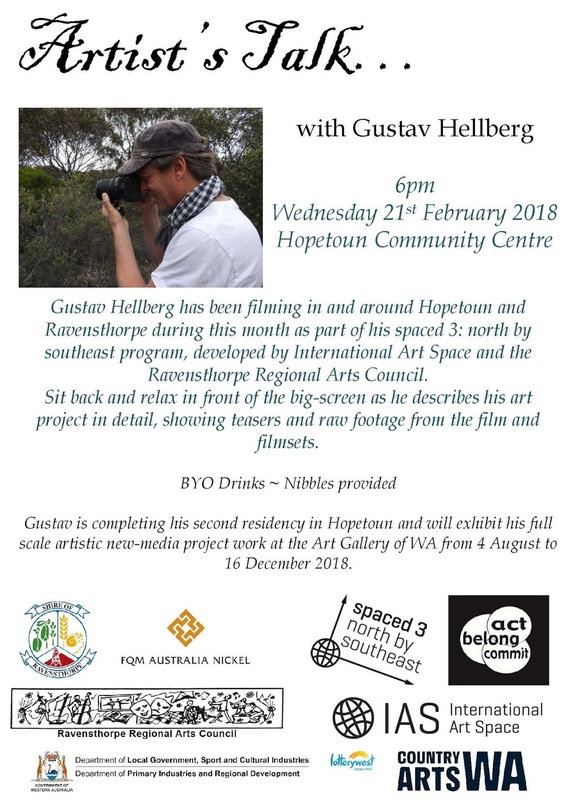 As I write this article, Gustav Hellberg is charming locals at the Hopetoun Community Centre with talk of his outback adventures, his triumphs and perhaps a series of unfortunate events (comprising of damaged drones and snake infested no-go bush zones). You see, Gustav is a new-media professor. He teaches Korean students in Seoul. During this second residency in Hopetoun, which has taken place across February 2018, Gustav has filmed across various landscapes all over the Ravensthorpe Shire. He has been busily capturing images that will all be cleverly edited together to form his artwork: a short film which will be exhibited at the Art Gallery of WA. What we have already seen in this fabulous project is a talented and worldly Nordic artist sharing ideas and techniques in our regional remote community. 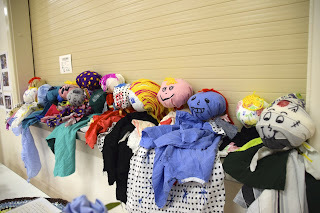 We have seen children inspired by strange contraptions and flying video cameras and we have seen that with artistic determination much can be achieved. Local artists have been up-skilled, network connections have been made and the Ravensthorpe region has been prompted into the spotlight. Even without the steps due follow after Gustav's residency concludes this Friday, we, and those who have taken part in small (yet important) snippets of this project are left holding a valuable experience. Gustav will exhibit his full scale artistic new-media project work at the Art Gallery of WA from 4 August to 16 December 2018. This story does not yet have an ending! Recording in the makeshift sound studio. Flickerfest screens for 10 days under the summer stars at Bondi Beach in January 2018, with selected highlights touring Australia on a 50+ venue national tour from Jan - May 2018. 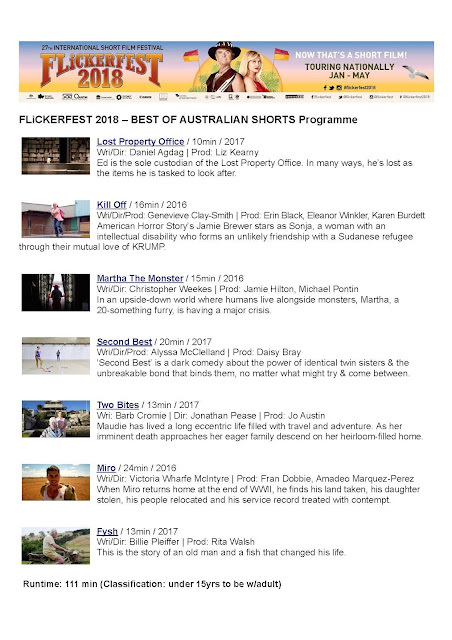 Flickerfest remains a platform for celebrating the most entertaining and innovative short filmmaking from Australia and around the world. 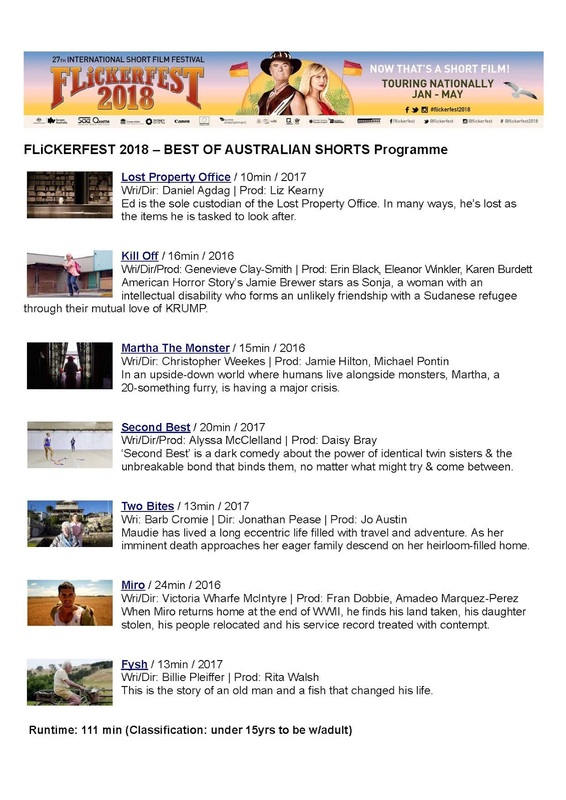 Flickerfest returns to the Hopetoun Community Centre with the Best Of Australian Shorts, curated from the Flickerfest Australian & International programmes in competition at Bondi. 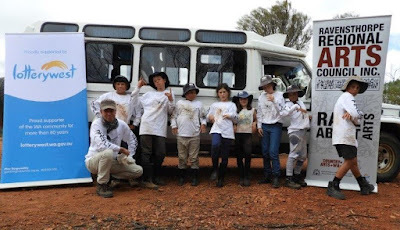 This is a one-off chance to see these amazing short films before they continue their journey around the world; expect to experience the best in short filmmaking Australia & the world has on offer. BYO everything for this kick-back adults movie festival. Bring snacks, wine glasses, and nibble platters of your liking. Tickets available at the door from 6.30pm, for a 7.00pm showing. Please note: Children under 15 years are allowed to come and snuggle, just like they do at home - but the films have adult content so there are no ticket sales for under 15’s and children must be accompanied by an adult.